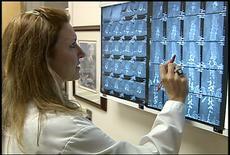 If you've forgotten what it is like to live without pain, Dr. Lynne Carr Columbus understands. Gulf Coast Pain management is a registered pain clinic abiding by the newest pain standards and regulations set forth by the Florida Department of Health, The Florida Board of Medicine, and The Florida Board of Osteopathic Medicine. Our physicians utilize the very latest in pain management technologies. They will coordinate your treatment with your primary care physician and various specialists. Self pay is accepted on a VERY limited basis, primarily for cosmetic procedures or Botox for hyperhidrosis ( excessive sweating). Self pay is NOT accepted for patients requiring controlled substances for their pain. All patients are required to have a primary care physician in order to facilitate communication.